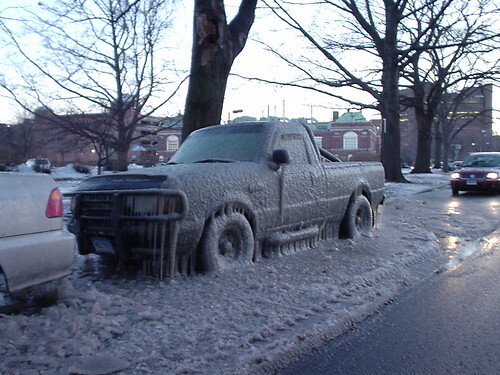 The truck was parked next to a slushy puddle, so every passing car added another splash. And it was very cold. Onohoku captured this one. A different kind of flower for Valentine’s Day. Happy Valentine’s Day! And thank you Dave, for the paper roses. Roadside Alaska, a photoset by Mr. Lunatic Fringe.